Sometimes homeowners want a beautiful door, affordably priced and are willing to finish (paint or stain) their new door themselves. 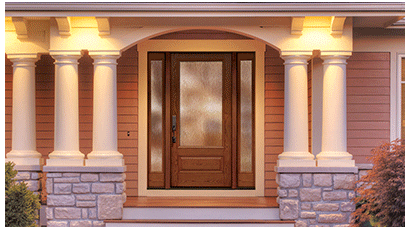 If you’re like one of those homeowners, Therma-Tru entry door might be just what you’re looking for. 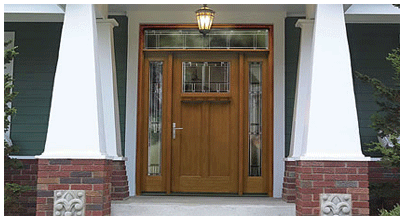 Therma-Tru has been a pioneer in the entry door industry for the past five decades. And while it wasn’t the first to make an entry door, it was the first to make entry doors immeasurably better. 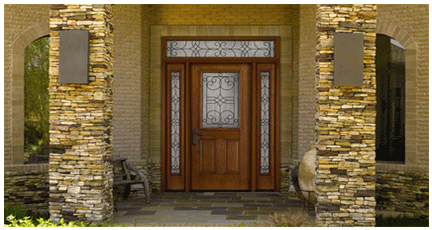 Therma-Tru introduced the World to the fiberglass doors. 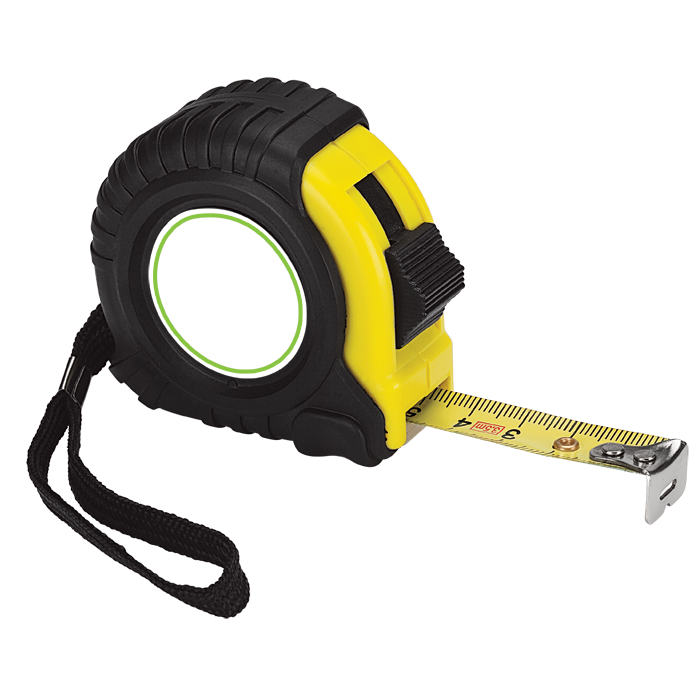 Since then it continued to lead the way in entryway innovation while adding even more beautiful choices every year. Simple vertical lines, solid wood edges, architecturally correct stiles and rails, and recessed panels create a timeless look perfect for Craftsman-inspired cottage-and bungalow-style homes. 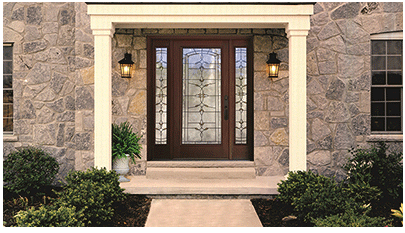 Especially suited to European, Victorian and Colonial home styles, Classic-Craft Mahogany doors are a sophisticated, elegant option that satisfies the needs of homeowners looking to make a statement by creating dramatic, grand entrances. 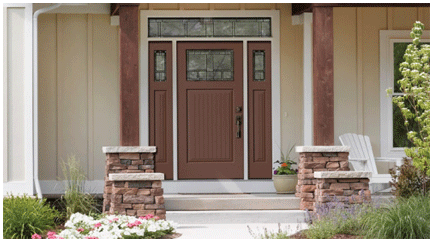 Designed to complement American Southwest or Tuscan-inspired home styles, Classic-Craft Rustic doors feature casually elegant wood graining that can be coordinated with glass, sidelites, decorative clavos and strap hinges to create enchanting entrances. With warm, White Oak grain that rivals authentic hardwood, Classic-Craft Oak doors are designed as the perfect complement to ranch homes, which are the most common architectural style in American housing. 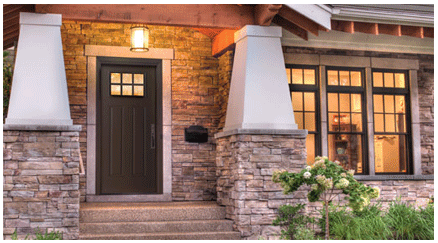 The first premium, smooth fiberglas door to carry the Therma-Tru brand name, the Classic-Craft Canvas Collection is designed for homeowners seeking the aesthetics of a sleek, modern entryway that can be adapted to individual styles and needs, both inside the home and out. Smooth-Star is the perfect answer when the best look for the home is delivered in a sleek, paintable package. The more attractive and durable alternative to steel, Smooth-Star entryways are ready-to- paint with crisp, clean contours that meet the growing trend of homeowners seeking more modern entryways. The line features two collections- Mahogany and Oak. Fiber-Classic Mahogany is designed to capitalize on consumer preferences for hardwoods in home interiors, extending the look to the outside with entryways that deliver beauty and elegance. Fiber-Classic Oak pairs the durability and strength of fiberglass with the distinctive craftsmanship of natural Oak, making the collection the perfect fit for a variety of home styles and pocketbooks.